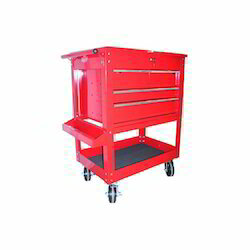 We are a leading Exporter of platform cart, tool cart and industrial cart from Ahmedabad, India. We are one of the noted manufacturers and exporters of flawless quality of platform truck which is used to carry loads from one place to another. 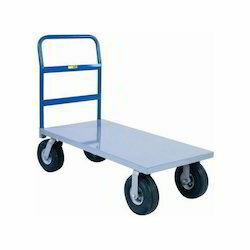 These Platform Cart are ideal to be used in warehouses, airports, railway workshops, fertilizer plants and chemical factories. Besides, our product range is widely preferred as these heavy duty platform truck saves energy and is pollution free & easy to drive. Vertex VMC Tool Cart guarantees the safe transportation of tools. They require little storage space, shorten distances in the storage area and reduce issuing times and setting-up costs. 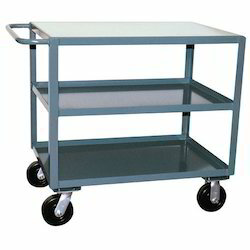 We are a leading firm engaged in the manufacture of Industrial Cart. Our clients appreciate our products as they are of good quality and are durable. We procure the best materials to ensure that the product quality is exceptional. These are in accordance with the international guidelines and are much acclaimed. Our team is constantly updated with all the changes in the market.